A single email could change your life. We’ve all heard stories about people who open up million-dollar deals through a single cold email or ramped up their first $10,000 in revenue by pitching prospects directly. But, there’s just one thing: How do you get in touch with these people? Obviously, you shouldn’t do a blanket email blast to random strangers. That’s just bad business (and possibly illegal). But, sending a personal message to someone you don’t know can open the door for huge opportunities. You just have to what to send and where to send it. Unfortunately, both of these pieces can be a bit difficult to figure out. But for the sake of this article, we’ll just be talking about that second part--how to find someone’s email address. 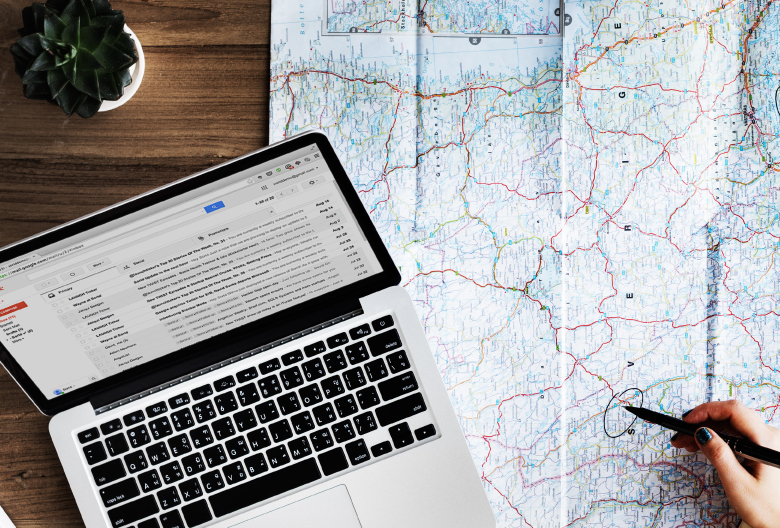 While some people are easy enough to track down, others don’t always disclose their email address in a simple-to-find way, whether intentionally or not. This guide is a step-by-step process for finding almost anyone’s email address on the web. And it’s ridiculously effective, without relying on expensive tools or technology (unless they’re absolutely necessary). Before we get into any fancy tricks and tactics for finding an email address, be sure you exhaust the obvious and simple solutions. In many cases, you’ll be able to find your contact’s information right from one of these sources. Especially people like journalists who actively want to receive inquiries. Of course, if you’re reading this guide, you’ve probably already thought of this. So, let’s move to some other techniques that will work for harder-to-find email addresses. If it’s not listed in an obvious place, most people will turn to technology or use some advanced strategy for trying to hunt down an email address. My advice? Hold off on that. One of the easiest ways that I’ve found to find someone’s email address if it isn’t immediately apparent is to just guess what it is. This works beautifully if you apply a bit of technical know-how. Open up Gmail and compose a new email. In the “To” field, enter the most logical email addresses for the person that come to mind. When each email turns into the the little gray bubble, you can hover over the email address to reveal some information. If the email is valid, you’ll likely see some amount of detail other than just the address that you typed in. In some cases, it shows a photo. In other cases, it has a photo and a full name. Sometimes, it’s more subtle and may just have an extra line of data or include a secondary email address (like above). 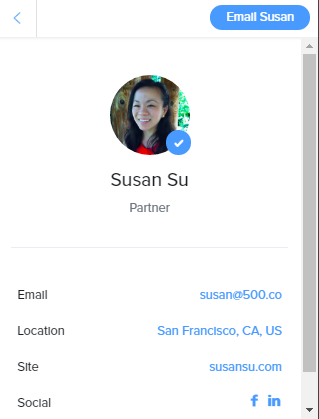 This will vary a bit by address, and not every valid email address will pull up a full profile card (I believe it depends on if they actually use Gmail or Google for Work). But you can often find one of the addresses that has a bit more detail than the others that tells you it’s in use. I use this step first, because the probability of being able to guess an email address with the first name, last name, and domain is really high and this is a very quick way to validate that or figure out if you need to move on to more inventive methods. Note: You can also use a tool like Mailtester to verify the address through the actual mail server. Don’t be fooled by it’s ugliness--it works! 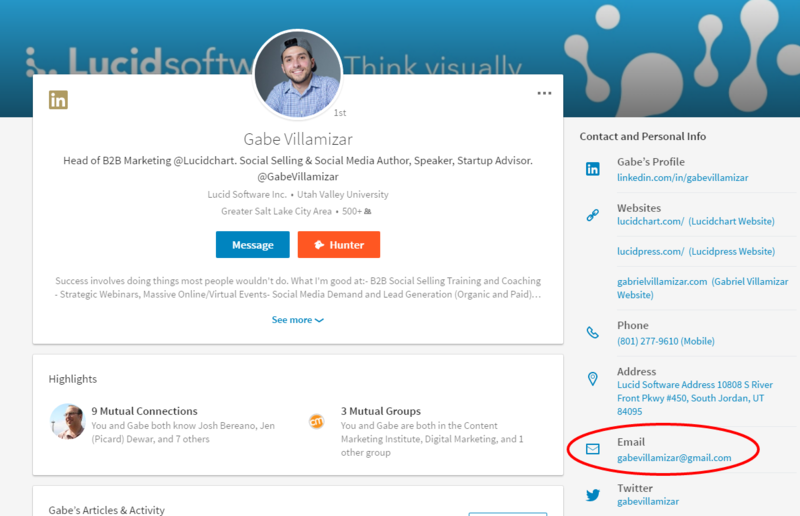 If you’re still looking for an email address, we’ll jump back to social media for two other tricks that can help you find what you’re looking for. 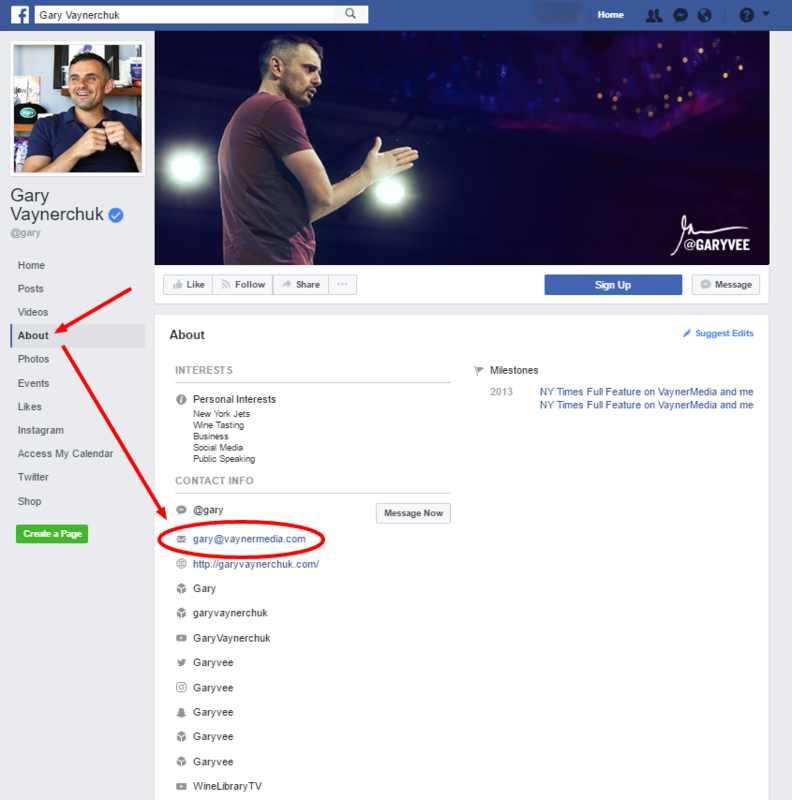 This may not be quite as obvious as checking LinkedIn or Twitter bio, but if you’re looking to contact someone who runs a small operation (like, say a blogger or influencer) then you may be able to find their contact information from their Facebook page. Click “About” and look for “Contact Info”. Sometimes there’s a generic address listed here, but other times it’s a personal address you can use to connect. This also works well if you are trying to find any contact info for a certain company and can only find generic email addresses. Often times the marketing or social media person will list their email as the contact here. Sometimes, people tweet out their email address if they want someone to contact them. Unfortunately, because of Twitter’s ever-scrolling feed, it’s impossible to search all of someone’s tweets without literally scrolling all the way to the beginning of their account. Luckily there’s a solution: Allmytweets.net. This nifty tool will pull in all of the tweets from a single account and show them in one big list of plain text. This is great, because then you can just Ctrl+F on that page and search for terms like “@gmail” or “email” and see if they’ve tweeted their address at any point. It’s also great because, by default, it includes “replies” (tweets beginning with another person’s Twitter handle) so even tweets that wouldn’t show up in their default feed are included here. Okay, so you’ve scoured the places where an email address might be listed and you’re turning up nothing. Perhaps you’re feeling a bit nervous now--will you be able to find this person’s contact information? Don’t get down on yourself just yet. There are plenty more tricks at your disposal. This works primarily by searching for instances where the person’s first and last name are in the vicinity of an email address at the same domain. It’s surprisingly effective and often leads you to an obscure source that you would have never looked on your own. If the full email address appears in the text of the page or document in the results, it will usually be highlighted in the result snippet (meta description). So you can generally browse through the results pretty quickly, keeping an eye on the snippet for anything that looks like a full email address. You’re probably used to giving up on Google as soon as you reach the bottom of the first page. But, in this case, it’s especially important to stick with it. You may have no luck on the first few pages, but then find the email address on page 10 in a forum post from 2002. Last but not least, there are many tools you can use to find email addresses. 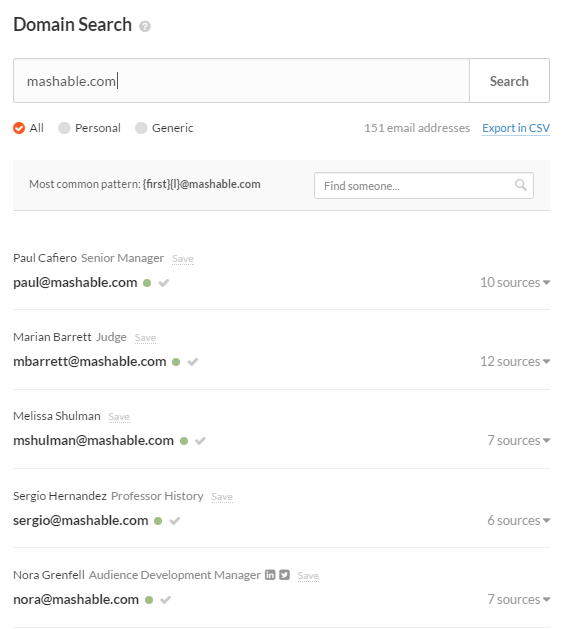 Clearbit plugs right into Gmail and gives you options to search for someone’s address directly and also displays relevant social graph data about the person and their company within your message. Slick interface, well recommended. These guys scour the web and build profiles from publicly available data. But, they also rely on other users using the service to build their database of contacts--so, by using it, you’ll be exposing your contact info to other Clearbit Connect users. You gotta give to receive, as they say. This functions a lot like Clearbit Connect, but Datanyze Insider goes about the email search process differently. Basically, it does the “guess it” method above, but automates the process and then cross-references other email addresses on the same domain to identify patterns. It also runs a soft-bounce check to see if the email appears legit. Hunter can basically pull a full list of publicly available email addresses associated with a given domain. It does this by basic web crawling and scraping, but it can be really effective for finding a stubborn address that’s hidden deep on a website. Along with the address, it gives you a percentage that indicates how confident it is that it’s a valid email address based on where and how many times it appeared. It also shows you where it found the email address, so you can decide for yourself if it’s trustworthy. My advice is to always save the technology and tools as a last resort. For one, they can be pricey. While most tools have a free tier, you quickly gobble up your free searches and then you’re forced to pay for any extras. Secondly, the methods they use for finding emails are generally pretty opaque and sometimes not very reliable. In many cases, you’ll find that a tool like Hunter--as great as it is--will only return a list of generic email addresses associated with the domain. The same ones you already found 100 times. But you had to spend a search credit to get them. Using a combination of all of these methods, it’s fair to say that you should be able to figure out an email address for about 95% of the people you want to reach. There are, of course, still a few that remain really good at hiding their email address. In that case, it may be best to look for a warm introduction. Find a business associate, partner, or coworker who you think would be willing and able to introduce you. Then, use these same methods to find their email address. I’m trying to get in touch with [MAIN PERSON] about [REASON FOR DISCUSSION]. I haven’t been able to find the right email for them. Would you be able to put me in touch? If you don’t receive a response, try following up once or twice then move on to someone else who might be able to make the introduction. I would be remiss if I didn’t offer one final word of caution about the entire premise of this post. And that is this: Use these methods responsibly. While it’s possible to find almost anyone’s email address online, no one likes to be blanketed with generic spam and hundreds of sales pitch emails. Even if your message gets through, it can do more to harm your reputation rather than improve it unless you are very careful and judicious about how you do cold outreach. Just remember that there’s a real person on the other end of the email and they have their own set of thoughts, worries, and responsibilities. Use your communication as a way to build a relationship and not just make a quick buck and you’ll end up much better off in the end.